Most of the attention, flurry and investment around blockchain technology is in the West, where people are investing in cryptocurrencies and focused on a slew of novel applications, like using a blockchain to track vegetables from the field to store shelves. But the greatest impact of blockchain technology will be in developing countries, such as Zimbabwe and Venezuela. At least, that is the view of David Crosbie, a lecturer at the University of Pennsylvania. He thinks blockchain technology will bring the same everyday levels of convenience and automation to the developing world that we take for granted in places like the U.S., and he is convinced it all comes down to a notion of moving trust away from society. Trust is essential to how society functions. “Many years ago, we used to run around on the savanna, and we only trusted our blood kin,” Crosbie said in an interview with Bitcoin Magazine. He explained that we went on to put our trust in the church, which used ideas like hell and damnation to get people to follow the the rules, and then, for better or worse, we put our trust in government. The problem is we have handed governments the ability to lock us up, take away our belongings and even kill us, in exchange for a reliable and predictable legal structure, he says. Blockchain technology is the first real effort to expand on that trust model with any success. “Because it is so effective in providing trust, blockchain is most effective in environments where there is no competition,” said Crosbie. In other words, in places where the state does not provide a good trust model, blockchain technology can step in and provide a way around existing rules and regulations. That is not to say there is no need for blockchain technology in the developed world, says Crosbie; it’s just that the use cases in the West are not as compelling. We already have good banking and court systems in the U.S., for example, that support most people’s needs. If blockchain technology does establish itself in the developing world, life there would look a lot more like life in the Western world, says Crosbie. As an example, he tells how he recently had to file a renewal for a limited liability company. He was able to do his research, collect details and fill out the forms online. “I did it all from my chair,” he said. In a lesser-developed country, a similar task would have required a lot more exertion. In most places in Africa and India, for instance, state organizations are inefficient and poorly run, and record keeping is predominantly paper-based. Renewing a business license would likely require getting on a bus, going into town and standing in a queue for hours. And since computers are too costly in those areas, official documents are often typed by hand. While record-keeping systems in the West have steadily evolved from paper to computer to online and, as a next step, maybe blockchain technology or “maybe not,” says Crosbie, blockchain technology may be a way for lesser-developed countries to jump those intermediate stages. “Blockchain provides something fundamentally funded by the end user who provides access, and that enables [documents] to be computerized without the government having to spend the money,” he said. Efficiency improvements in developing countries would open roads to productivity because people would have more time, says Crosbie. Ownership would be easier to establish. If you wanted to show someone you owned a piece a land, rather than investing a day in chasing down a paper document, you could simply show them a link on the blockchain. Crosbie says chain of custody is another use case. Blockchain technology would enable someone to figure out if the brake pads they were buying for a car were real, so they would not run the risk of a serious accident. Or it could help ensure the vaccines received in a small village had been handled properly. Smart contracts (applications that run on the blockchain and control the transfer of digital assets between parties) could also provide value in areas where the legal system is too expensive, slow or untrustworthy. And establishing an identity on the blockchain would be a core part of giving people access to services. As far as banking goes, mobile banking already exists in Kenya with M-Pesa and other mobile phone–related services. “Whether blockchain can compete depends entirely on whether it can be done in a cost-effective and quick and reliable way. And I actually think that blockchain is not there yet,” Crosbie cautioned. 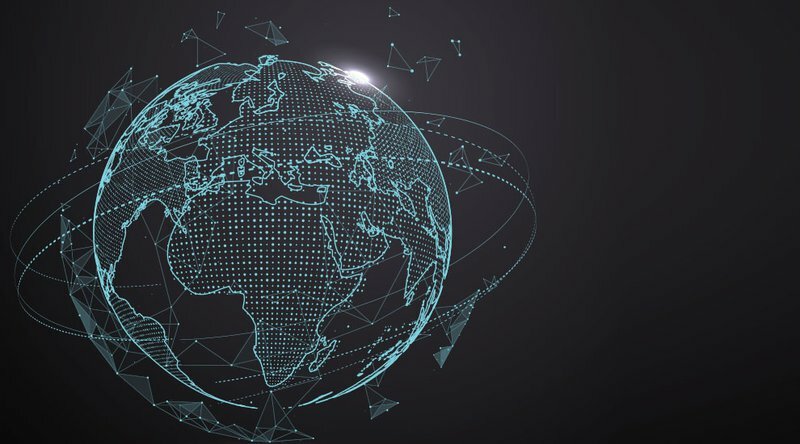 Getting blockchain technology deployed in developing areas around the world requires a different technology mindset, however. Right now, most of the technology is targeted to areas like the U.S., where infrastructure and connectivity are good and computer systems are affordable. In many developing areas, people do not have access to computers or laptops or even Wi-Fi, but they do have access to smartphones and cellular connectivity. “We need to move our technology focus from desktop and servers and high-speed networks to smartphones on 3G networks,” Crosbie said. That requires being smart not only about how we write data to the blockchain, he says, but also how we read data from it. Smartphones, for example, don’t have the capacity to download an entire blockchain, and that means finding new workarounds. “If it has been tracked on the blockchain, how do I know the vaccine I have received in rural Kenya is good if I can’t read it from my smartphone while standing in the hospital?” he said. He points out the importance of looking at alternatives to move large amounts of data without relying on networks. One idea is to ship a USB device with the physical goods and then to use the blockchain to validate the authenticity of that data. Crosbie will be discussing the social impact of blockchain technology on a panel at the Blockchain Economic Forum in Singapore, February 4–6, 2018.